Catladyland: Cats are Funny: What Does a Heavyweight Boxer Look Like? Check Today's Fanglish Cat Slang Terms! What Does a Heavyweight Boxer Look Like? Check Today's Fanglish Cat Slang Terms! Friday!! Time for a brand new Fanglish cat slang lesson! Now you can go into the weekend one step closer to being as smart as your cat. 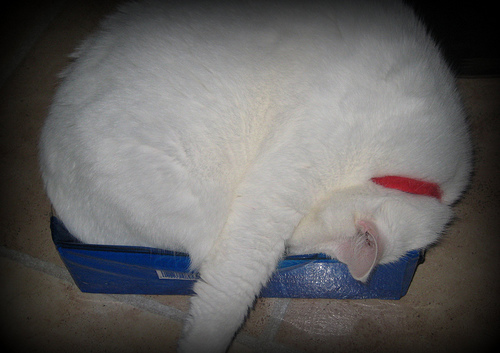 A large cat lying in a box. Snowball, a heavyweight boxer, could squeeze into women's size 6 shoeboxes. A human who removes a cat from blocking their movie-watching view. The Lady always had to be a blockbuster on movie night because Maurice liked to clean himself in front of the TV screen.